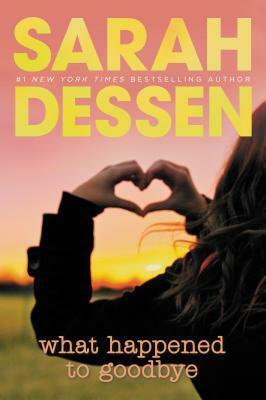 My Sarah Dessen Readathon pick for this week was What Happened to Goodbye, a book that I’ve had on my TBR for a while now, and hadn’t yet read. I was SO excited to finally read this book. I can’t believe I’ve had it in my collection for so long, and hadn’t yet read it, especially considering that it’s one of Sarah’s more recent novels. I’m glad to finally mark it off my TBR, and to say that I LOVED IT!! As I said, this is one of the few books by Sarah that I had not yet read, so I didn’t know what to expect when I started reading it. The story, like all of Sarah’s stories, completely grabbed my attention, and wouldn’t let go. I really enjoyed the storyline for the book, even the basketball parts, which I am just recently becoming a fan of, but still don’t really understand. The ending came together perfectly, even though I totally didn’t want the story to end at all, but it wrapped up nicely, and I loved that. Like with Sarah’s other novels, there are SO many characters to love in this book. I always seem to relate to the main characters in one way or another, and Mclean was no exception. I totally got her, and what she was going through, and how she felt. I’ve been there, girl. The friends she met as the story went along are the ones you always want to have in life, and I really couldn’t get enough of them. Admittedly, at the end of Sarah’s books, I usually find myself wanting to know more about these secondary characters, and asking WHY don’t they get their own stories?? Haha! I love the cameo appearances we get to see from characters that we’ve met in previous books! While some are named by name, others are just by descriptions, and I love that I know exactly who they are just by how they are described. That’s how well I’ve gotten to know all of these characters over the course of this readathon! Overall; What Happened to Goodbye is definitely another favorite by Sarah, as if you couldn’t tell by this super gushy review. I’m thrilled to have finally read the book, and I imagine I’ll be reading it again in the near future. Next on my list is The Moon in More, which I read a few years ago, but am really looking forward to re-reading again!